Dice the onion very finely and put in a bowl. Pour in the vinegar and add salt. Chop the garlic finely and add to the onions. Stir. Let sit for about 15 minutes, or until the onion burn is gone from the onions when you eat a bit. Open the can of beans, drain, rinse, put them in the bowl. Add the spices, the herbs, and the olive oil, stir, taste, tinker. Now you have a bean salad, some of which you will eat now, some to save for later. 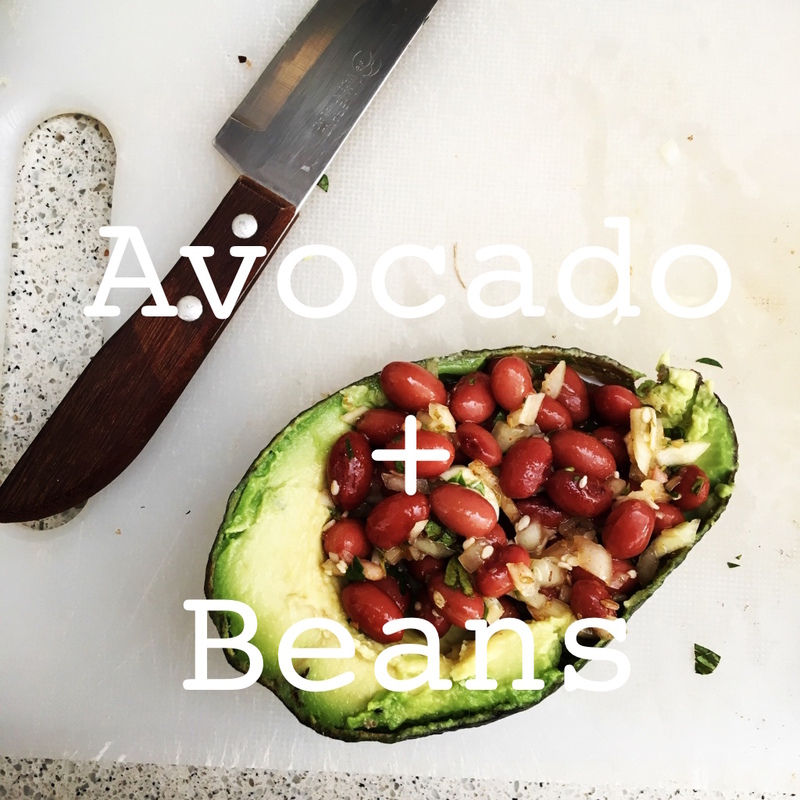 Put however many beans you like into the hollow in the avocado and eat, preferably with a long spoon. A little extra olive oil is nice.